In the year or so since we last published City Weekly’s Dining Guide, a number of inviting new restaurants have emerged onto the local food scene. And they seem to follow a trend: Virtually all of my favorite new restaurants are rather humble. They’re not big, bowl-you-over places where your heart stops when you get the check. Rather, they seem to follow a pattern that’s been happening all over, from Brooklyn’s Park Slope to Los Angeles’ Silver Lake neighborhood: the increasing likelihood that when you visit a new restaurant, it’ll be a no-nonsense place with a focus on affordable food and ingredients sourced from local producers, whenever possible. That’s certainly the case with these new restaurants—no jackets or ties required. The art of traditional, rustic baking—once all but lost—has made a comeback in America. 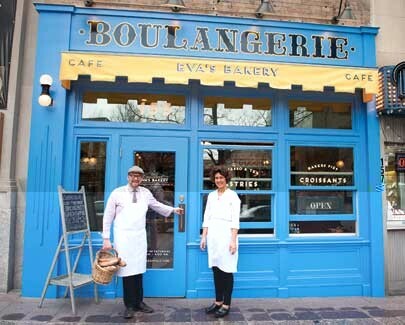 In Salt Lake City, Eva’s Bakery (155 S. Main, Salt Lake City, 801-355-3942, EvasBakerySLC.com) delivers a little slice of Paris in the form of a French-style boulangerie to our town. Owner Charlie Perry and his talented team make rustic breads such as Kalamata olive loaves and crunchy baguettes starting with nothing more than organic local flour, water and salt. Those tasty breads are the basis for the yummy croque monsieur, but you’ll also find personal-size pizzas, muffins, sandwiches, croissants, cookies, pastries and much more at Eva’s. Speaking of bread, although it’s not new, Vosen’s Bread Paradise’s (801-322-2424, Vosen.com) location is. Vosen’s recently moved to 328 W. 200 South in Salt Lake City, and now offers sandwiches, pretzels, bagels and pastries in addition to the excellent European-style breads they’ve always baked. Continuing on the carb track, Flatbread Neapolitan Pizzeria (1044 E. 2100 South, Salt Lake City, 801-467-2180, FlatbreadPizza.com) brought wood-fired, thin-crust Napoletana pizza to Sugar House this year, not to mention really great sandwiches, salads and even hearty Sicilian meatballs, along with a terrific wine, beer and cocktail selection. Three intriguing restaurants specializing in Mexican fare also emerged this year: First, Todd Gardiner opened Taqueria 27 in Lamplighter Square (1615 S. Foothill Drive, Salt Lake City, 385-259-0712, Taqueria27.com), offering a wide range of tequilas and signature tacos, from traditional to eclectically modern. Meanwhile, Mikel Trapp and Bret Johnson’s Luna Blanca Taqueria (3158 E. 6200 South, Holladay, 801-944-5862, LunaBlancaTaco.com) in Holladay gives folks heading up to or down from Little and Big Cottonwood canyons a place to fuel up on street-style tacos, massive burritos, charred chipotle-butter corn on the cob, cold margaritas and more. 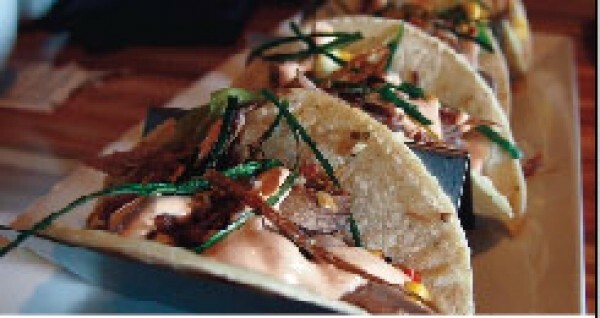 Finally, in Park City, Bill White melds south-of-the-border flavors with Detroit’s auto culture at Billy Blanco’s Motor City Mexican (8208 Gorgoza Pines Road, Park City, 435-575-0846, BillWhiteRestaurantGroup.com). Come for the cars, stay for the carnitas. In my opinion, Del Mar al Lago (310 Bugatti Drive, Salt Lake City, 801-467-2890, Facebook.com/DelMar.al.Lago) isn’t just the best restaurant to open in the past year or so; it’s the best Utah restaurant to open in the past half-decade. Chef/owner Frederick Perez, who was trained at Le Cordon Bleu and previously worked at The St. Regis Deer Valley, brings impeccable technique and a modernist flare to both the taste and the presentations of his astonishingly excellent Peruvian cuisine. To find better Peruvian food, you have to go to Peru, but it still wouldn’t have the eye-popping beauty of Del Mar al Lago’s. If you haven’t been there yet, you’re missing out on one of this state’s very best restaurants. For traditional Cantonese cuisine, there’s a new kid on the block: Ho Mei BBQ (3370 S. State, Salt Lake City, 801-486-8800). Here, you’ll find a dizzying array of dishes—more than 200 menu items—with a focus on Cantonese-style barbecue. That means Peking duck with a glistening sheen, barbecued pork belly and ribs, whole spiced cuttlefish, and nonbarbecue treats like the luscious rice rolls and free-range soy-sauce chicken. For American barbecue, R&R BBQ (307 W. 600 South, Salt Lake City, 801-364-0443, RAndRBBQ.net) has been rocking since the day it opened, and for good reason: This is the real deal. 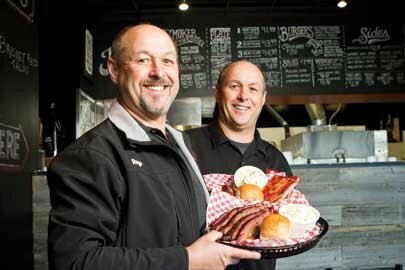 After years of cooking on the competitive-barbecue circuit, brothers Rod and Roger Livingston decided to open a barbecue joint to call their own, and it’s a doozy. The brisket is as good as I’ve ever had, including some pretty monumental brisket in Texas. 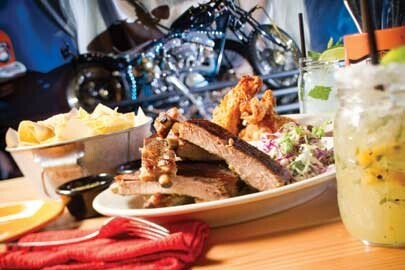 The ribs are terrific, the chicken is sensational; even the side dishes are above average. Don’t even think of eating at R&R without ordering hushpuppies and the fantastic fried okra. Boulevard Bistro (1414 S. Foothill Blvd., Salt Lake City, 801-953-1270, BoulevardBistroFoothill.com) is proving to be an enticing addition to the food scene at Foothill Village, offering diners a snazzy atmosphere, lovely bar and above-average American cuisine at below-average prices. Dishes like red trout with brown butter, hazelnuts and capers make dining at Boulevard a delight. Another new addition to Salt Lake City’s American-cuisine scene is The Annex (1048 E. 2100 South, Salt Lake City, 801-742-5490, TheAnnexByEpicBrewing.com). Brought to you by Epic Brewing, this Sugar House restaurant ain’t your daddy’s brewpub. Chef Robert Angelilli’s menu is as appealing as it is eclectic, with traditional pub fare such as fish & chips and beer-braised brisket balanced by alluring menu items like crispy pig ears, poutine, arancini, duck dishes and even a quinoa burger. The menu creatively arranges the food into increasingly challenging categories that mirror Epic’s beers: Classic, Elevated and Exponential. The amazing porter gingerbread dessert should be given its own classification: stratospheric. Got a new restaurant that you adore? Let us hear about it!